There are many ways to roast peppers. This simple method can be done with any broiler and with any pepper, be it red or green, sweet or spicy. Have a gas flame or hot grill? You may want to use the direct flame method. Again, the same methods work for peppers and chiles of any color! This can be used to make red pepper sauce or pasta. Look for peppers or chiles with tight, smooth skins. They should also feel heavy for their size, which indicates that they are both ripe and fresh. If you have a choice, peppers or chiles with fewer ridges and gulfs will be much easier to peel when the roasting is done. Use a sharp knife to cut the pepper or chile in half lengthwise, but not through the core. Cut off the stem and core. You may be tempted to stick close and tight to the stem, but go ahead and cut along the "shoulder" of the pepper or chile—that extra bit of pepper next to the stem is pretty tricky to harvest with any grace. Unless you're working with an unusually large pepper, there's not much meat there to worry about. Pull out and discard the pepper core, including as much of the white membrane along the sides of the pepper and the accompanying seeds as possible. It's worth taking the time to pull or cut out any of those white bands along the inside of the peppers or chiles: they can be quite bitter. Regarding removing the seeds, sweet pepper seeds tend to be bitter, whereas chile seeds tend to carry an extra kick of spice. In either case, they don't look so great mixed in with the silky smooth appearance of finely roasted and peeled peppers. Lay the peppers skin-side-up on a parchment- or foiled-lined baking sheet. Larger peppers may need to be flattened: press the pepper halves by squashing them with the palm of your hand on a flat surface. Particularly bumpy or deeply ridged peppers may require that you cut off and remove the pointed (non-stem) end to get them relatively flat. Heat a broiler, setting cooking rack about 4 to 6 inches away from the heat source. Broil the peppers or chiles until they're blackened all over, 5 to 10 minutes. Watch them carefully and rotate the pan as needed to blacken the pepper skins as evenly as possible. When you remove the pan from the oven, pull up the edges of the foil lining the pan and envelop the broiled peppers. Seal and let the peppers sit for at least 15 minutes and up to 1 hour. This step theoretically "sweats" the peppers and softens them a bit; it is optional. We've done extensive testing, and it's the cooling resting as much as being wrapped up and "sweating" that helps loosen the peel. Unwrap the foil from around the peppers. Use your fingers to pull off and discard the peels gently. The peels should slip right off in whole (or practically whole) pieces. This step can be done with running water if you like. 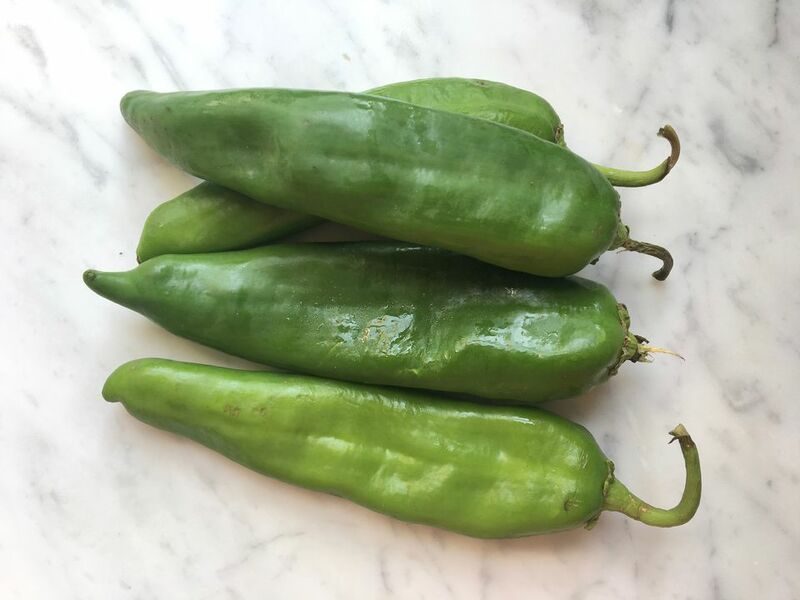 If you're working with large numbers of peppers or chiles, the running water will make things go quicker, since the peels can start to stick to your hands as you work with more than a pepper or two. Roasted peppers and chiles can be used in recipes that call for them, covered and chilled for 2 or 3 days, covered with oil and chilled for up to a week, or frozen in air-tight containers or resealable plastic bags for future use. Frozen roasted peppers and chiles will keep about 6 months in the freezer. Roasted sweet bell peppers can be served as-is, sprinkled with olive oil and salt for a simple appetizer or side dish, or added to pasta dishes or salads for smooth and silky sweetness.